Join Bruno, Jo and Marius on another edition of the Monkey Tail Podcast where we consider the unlikely post –apocalyptic scenario where we can only save one development studio from extinction! We also talk about the games we’ve been playing including; Bloodborne, Titan souls, Rogue Legacy, Shadow of Mordor and many other games. Join the Monkey Tail crew as they embark on a very special 24 hour gaming marathon, in aid of the charity Marie Curie Cancer Care. Cue much gaming hilarity, from Micro Machines tournaments, impromptu planking competition and many hours spent at the edge of the mirror. 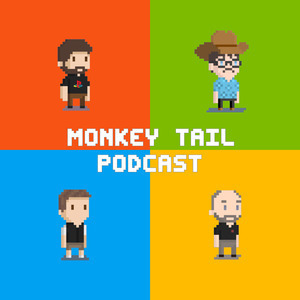 Join the dynamic err… trio, Bruno, Jo and Marius on another edition of the Monkey Tail Podcast. On this episode we talk about all things E3 including Assassin's Creed Unity, Halo: The Master Chief Collection, Sunset Overdrive, Far Cry 4, Grim Fandango, The Division, Splatoon and many other games. Join Bruno, Jo and Marius on another edition of the Monkey Tail Podcast. On this episode we talk about Infamous Second Son, Luigi's Mansion 2, Trials Fusion, Dark Souls 2 and many other games. We also comment on the Atari E.T. dig site and make plans to dig our very own hole of shame. Join the Monkey Tail crew on this belated March podcast turn Easter Sunday special (enjoy the extra helping of Easter eggs). We talk about EGX Rezzed and all the games we've played there including; Hotline Miami 2, OlliOlli, Alien: Isolation, Infamous Second Son, Metal Gear Solid V: Ground Zeroes and many other games. 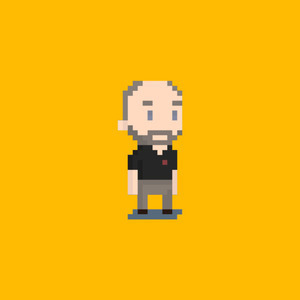 Join the Monkey Tail team as they talk about the latest video games they have been playing, on this very packed podcast. There’s talk about The Last of Us DLC, Alien Isolation, Warframe, Brothers: A Tale of Two Sons, Teslagrad, Titan Fall and many other great games as well as Marius’s recent foray into video game development. Join Bruno, Jo, Marius and Mark as they talk about what games they have been playing on this, Monkey Tail’s first podcast of 2014. There’s talk about Assassin's Creed 4: Black Flag, Super Stickman Golf 2, Resogun , Brothers: A Tale of Two Sons and many other great games. Join Bruno, Ceri, Jo and Marius as they list their nominees for game of the year. Expect a lot of interruptions from Marius and his two minions as they try to include a plethora of alternative top 5’s before we eventually pick Monkey Tail’s Game of the Year 2013. Which one will we pick?